Congratulations as you embark on the next step of your educational journey! Please find below answers to several questions you may have about the scholarship you received through a fund administered at the Community Foundation of Shelby County. Where should I send a Thank You note? Please send it to the Community Foundation address: 100 S. Main Ave Suite 202, Sidney OH 45365. Include details of where you plan to go to school, your major and your future career. Often, the person who established the scholarship is not involved with the selection and has not read your application. They thoroughly enjoy knowing about you and your plans. Show your gratitude and let them know that the money is going to good use! We will forward your note to the appropriate person. When is my scholarship check sent? Sign and return the Acceptance Letter, which was mailed to your home. It is a letter that shows the name of the scholarship, the amount of your award, the conditions for receiving the scholarship and the process to release the scholarship award (check). If you do not recall receiving the letter, please call our office to verify your mailing address and to ask for a replacement. Sign, complete and return the copy on light green paper. The white copy is for your files. Send us your college fee statement (your college may call it an account or billing statement), the ‘invoice’ that shows the charges you owe for tuition, fees, and possibly housing and your meal plan. Colleges and universities typically make these available to you by logging into your account on the college’s website. Please mail or email a copy to our office. We consider this as proof of enrollment in the college. After we receive both your signed Acceptance Letter and your fee statement, we will mail your scholarship check directly to your college’s financial office within two weeks. If you have any questions about the documents we need or whether we received your documents, please email Barbara at info@commfoun.com or call (937) 497-7800. Can a scholarship effect my financial aid? Your unmet need is where loans and grants are typically offered to you to assist with your college costs. When you submit a scholarship check from an outside group (Community Foundation, other community groups, your parent’s employer’s scholarship program, etc. ), the college may be obligated to reduce your financial aid package (need-based scholarships, subsidized and unsubsidized loans, work/study, and grants). According to College Board: “If all the aid you receive — outside scholarships, financial aid from your college, and government grants and loans — ends up being $300 or more above your calculated need, the federal government requires your college to reduce the amount of need-based financial aid it awards you.” Each college handles the reduction differently. Please contact your college’s Financial Aid office to get their help in making this work as well as possible for you. What if I change schools or majors? If you received a scholarship that requires attendance at a specific school or for a certain major and you decided on a different school or major, the scholarship will no longer be available to you. If you complete the year in which the scholarship was paid, then decide to change your school or major, we will not require repayment. However, if you have a renewable scholarship that requires a certain college or major, future payments will not be paid to your school. If you received a scholarship that has no requirement for attending a specific school, you need only to notify us about the college you have chosen. In most cases, you will send us the fee statement to release your check and that states the name of your college somewhere on the document. If it does not, please note the school you are attending. Many of our scholarships do not have a requirement to attend a specific school or remain in a certain major. If you are unsure, please contact Juli Smith, our Scholarship Administrator, at jsmith@commfoun.com or call (937) 497-7800. I was awarded a renewable scholarship. How do I qualify for the next scholarship installment? You will receive in the mail a scholarship renewal letter to sign and return. You will also need to send us you college fee statement to have the check release. If you received a scholarship that requires we verify your grade point average, major or college, we may ask for additional information from you. If you have moved, please contact us so that we can send the renewal letter to your proper address. What happens if I quit school? If you have not requested that your scholarship check is sent to your college, we ask that you send us an email to Juli Smith at jsmith@commfoun.com or call Juli at (937) 497-7800 so we will avoid contacting you regarding the amount held for your schooling. If you quit school after we mailed the scholarship check, your school will likely contact us about returning to us any portion of the scholarship award that is still unused. 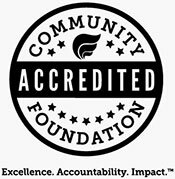 Can I apply for Community Foundation scholarships during college? Yes, we have a growing number of scholarships that are available only to students in college or adults wanting to return to the classroom. The deadline for many of those scholarships are in May each year, so please review our website and apply online.